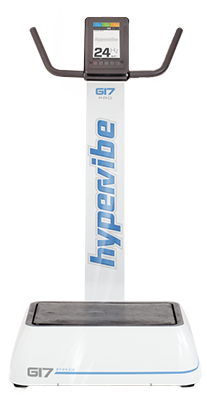 Can WBV machines fit into a workplace wellness program?Hypervibe UKCan WBV machines fit into a workplace wellness program? 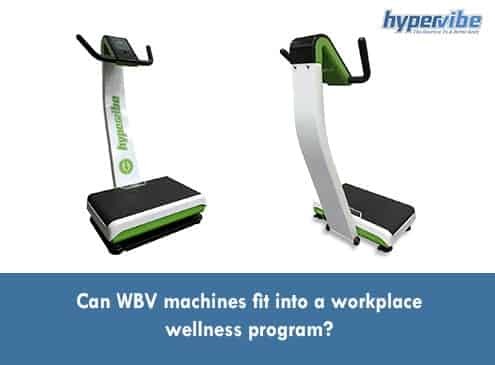 Can WBV machines fit into a workplace wellness program? The fact that sitting all day can be hazardous to one’s body is not a novelty. A sedentary lifestyle can severely impact one’s overall health and well-being, so it comes as no surprise that sitting is considered “the new smoking”. Not too long ago, a report published in the Annals of Internal Medicine was revealing a disturbing finding: more than half on the average person’s waking hours are spent sitting, and this bad lifestyle habit could compromise even the health of those who spend up to one hour per day exercising. If you have an office job or a job that involves sitting for prolonged hours, and you commute to work – so again, you sit for 1 hour or more, you’re probably spending more than half of your sedentary. The mentioned study showed that people who sit for prolonged periods have the higher risk of dying from all causes, but those who exercise regularly are also exposed to a series of health hazards because of their inactivity. In other words, the dangers of inactivity affect even those people exercise daily, and these potential health hazards include the worsening of one’s cardiovascular health, an increased risk of diabetes type 2, the loss of muscle mass and the weakening of bones, poor posture and spine deformities, poor circulation, an increased risk of gaining weight and becoming overweight or obese. The metabolic rate and fat and sugar metabolism, the mood and energy levels, the body temperature and lymphatic drainage, the blood pressure and levels of cholesterol, as well as the percentage of visceral fat, all these can be affected by too much sitting. Maintaining a sedentary position for several hours doesn’t allow your body to use its muscles at full capacity, because they remain in a too relaxed state. This can lead to a decrease in muscle strength and mass and can slow down all body functions. To counter the negative effects of prolonged sitting, you don’t have to quit your job and hit the gym for 24 hours a day, 7 days a week. Moving even for a couple of minutes every other 60-90 minutes can improve your blood pressure, metabolic rate, circulation and overall cardiovascular health, and can help in preventing these negative effects of a sedentary lifestyle. Although it may not seem like an effort for your body, the muscle activity needed for standing and for doing other movements in those short breaks can trigger important processes related to the metabolism of fat and sugar, helping to fight against weight gain and all the other unwanted effects of prolonged sitting. Getting as much exercise as possible throughout the day and week and practicing moderate to high-intensity workouts is the ideal. But even if you don’t have enough time for daily gym workouts, you can still combat the effects of prolonged sitting by breaking down the time spent exercising into shorter training sessions. An Australian study found that 1-minute mini-breaks can actually make a difference, so do your best to stand up as frequently as possible and just move around, take a few steps around the office, or just march in place. Simple movements like these ones can contribute to lower blood sugar levels, triglycerides and cholesterol, and can prevent weight gain and the accumulation of fats around your waist. Decide to make exercise and movement a priority. Instead of sitting when you talk on the phone, stand up and walk around. Improvise a standing work table if possible, or stand up every hour and do some stretches. Instead of gathering in a conference room, walk for 5-10 minutes while discussing with your colleagues. Or, even better, try to incorporate short workouts into your work day by investing in a whole body vibration machine for commercial use. This will allow you to get more active without having to leave the office and without compromising your work productivity – the WBV workouts can take as little as 5 minutes, but the benefits can be spectacular! 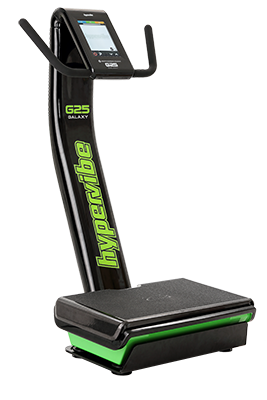 A Hypervibe whole body vibration machine like the G17 PRO WBV platform can help you prevent the negative effects of prolonged sitting, by stimulating your muscles, increasing circulation, improving flexibility, strengthening your core muscles and helping you burn more calories throughout the day. Let’s discuss these aspects in more detail. 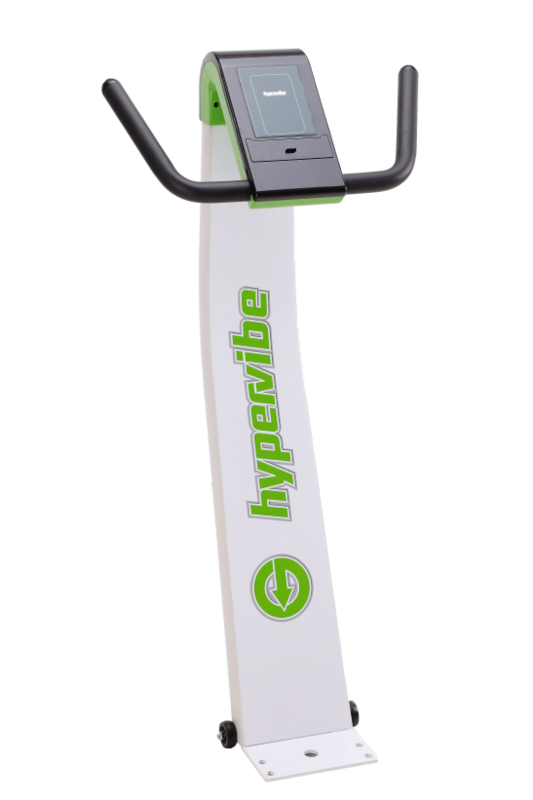 Whole body vibration is perfect for those moments when doing weight lifting or cardio exercise is not possible. It works by increasing the gravity or resistance force perceived by your body and by tricking it to believe that is heavier. It’s pretty similar to what happens when you lift weights and the body has to work against a high resistance force, represented by the weight of the barbell for example. With whole body vibration though, the force is applied upwards, and sent by the machine, so it’s not you but the machine that works the hardest. The vibration waves sent through the body force the muscles to contract and relax fast, and this helps in strengthening them, in burning more calories and in stimulating circulation. As muscles contract, they push the blood through the vessels, contributing to a better delivery of oxygen, water and nutrients to cells. As a result, instead of feeling tired, after a WBV workout you actually feel energized and in a great mood. Depending on the frequency and acceleration level you choose (G-force), the workout can be more or less intense. At lower frequency you can get a relaxing massage that will contribute to better circulation and lymphatic drainage, and will help combat leg swelling and the retention of excess fluid in your body. WBV exercises at lower frequencies are also great for improving flexibility, as the muscles are stimulated and warmed, the circulation to the joints is increased and the lubrication of joints is also stimulated. Another great thing a vibration machine can do for you is to help in preventing bone mass loss, which can result from being sedentary. There are dozens of studies that show that exercising on a whole body vibration platform helps in combating the effects of osteoporosis, and this is why astronauts use WBV machines to stay active while in a microgravity environment. Exercising on a WBV platform is easy and unintimidating, it helps oxygenate your body and gives you an energy boost after working for hours. It can also help you drop some pounds, as it’s been shown that this form of training can contribute to a better body composition and a decreased body fat percentage. Moreover, it can help in decreasing the levels of stress hormones and all these benefits can come from a simple, 10-minute workout, which can be done during the lunch break, or before and after the work day. 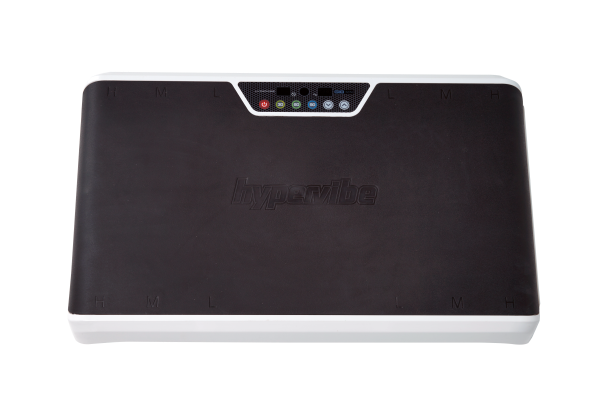 If you’re worried that there’s not enough space in your office for a regular whole body vibration machine, you can always opt for a smaller model like the Hypervibe G10 Mini or G14 whole body vibration machine, which are smaller but powerful enough to deliver a rejuvenating and health-enhancing workout. If you spend a lot of hours sitting, whole body vibration is the ideal solution for strengthening your muscles, toning your body, improving your core strength and posture, combating low back pain and leg swelling and keeping your metabolic rate elevated. It is a smart investment for any manager that cares about the well-being of his employees. 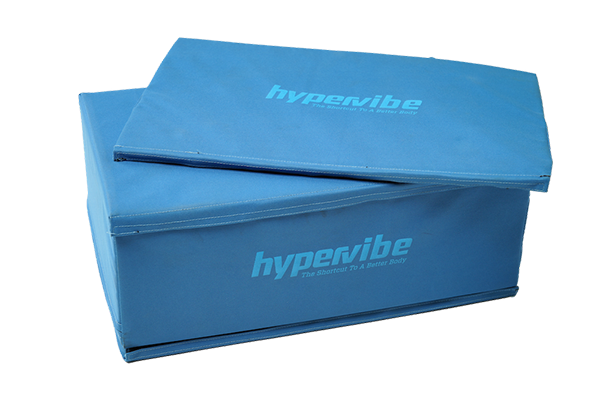 Have you tried whole body vibration before? Do you have a vibration platform at work? We’d like to hear from you, so feel free to write your thoughts in the comments section below.